D2T ready mixed, water resistant wall tile adhesive. 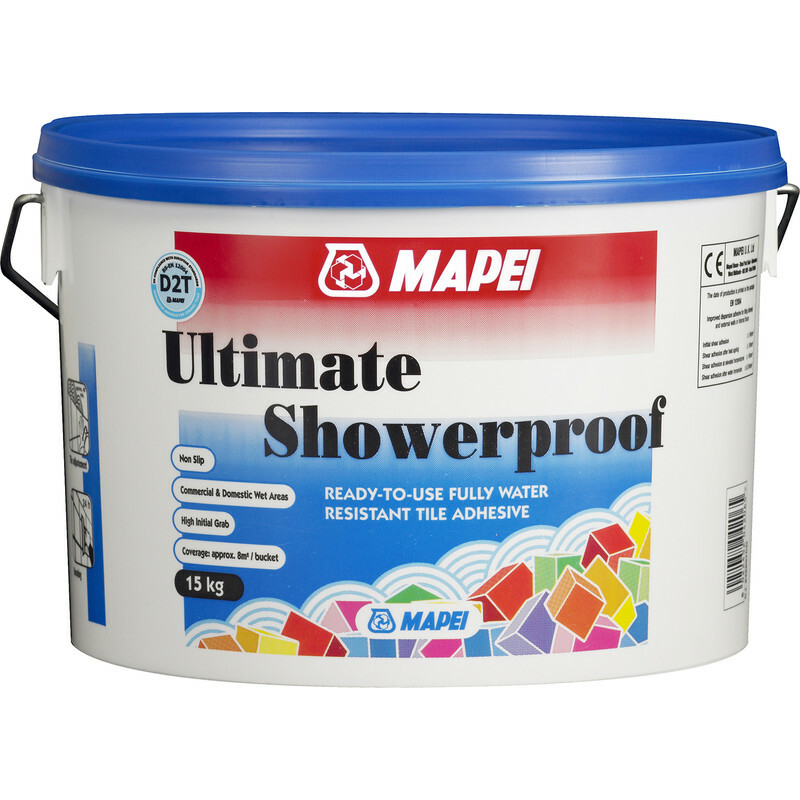 Suitable for Ceramic and Mosaic tiles up to 600 x 300mm in domestic and commercial wet areas. High grab and non slip. Can be grouted after 24 hrs.